12-8-13 -- Around midnight Greentown firefighters were called to an apartment fire at Mill and Grant Streets in Greentown. The building was already fully engulfed in flames. Witnesses say that a few heroes were knocking on doors and helping residents out. 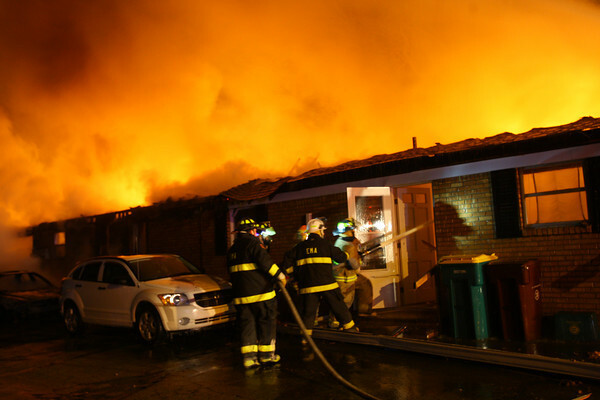 Six apartments were completely destroyed while the remainder sustained major damage.